Everyone and i mean everyone will have an opinion on Studio Photography v Natural Light Outdoor Photography. A majority of photographer friends that i have will always prefer one or the other. 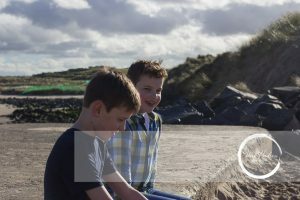 To help you decide what type of family photography experience you are looking for, lets look at them both. the biggest draw Studio Family Photography Shoots will have is reliability. The weather will not come into your decision of when you are booking a session. Big tick for convenience, you can also bank on it being warm in the studio. Heat will help with Newborn Baby Shoots, the warmer the room the sleepier the baby. Light, photographer’s holy grail is light, we are in an endless search for the most flattering light. Studio Photography can manipulate the light conditions ensuring you get a good quality images. Gosh those images can be sublime if the lighting is right, flecks in the eyes can glisten. Skin will be creamy and light, the perfect portrait. If you have a studio you are more or less guaranteed you as clients will be comfortable spending the big bucks. The reason being, you can instantly see what you are getting. Fancy equipment looks impressive and expensive so he / she must be a good photographer…right? Timing, you can be in and out with a Studio shoot in under an hour. Longer if you are going for a structured Newborn Shoot, those can take unto 3 hours. Baby needs calmed maybe a feed and wrapped. Then set up for the position, shoot, begin again for different shot. Finally, some studios have windows that they can use to capture the natural light, and when they do use them. The images are normally stunning!! 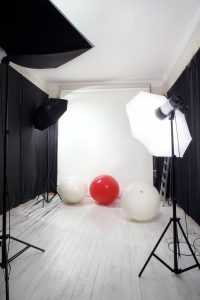 The first image is shutter stock image of a studio with lights. 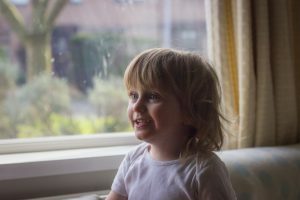 The second image is that of a young boy taken beside the window. Look how creamy his skin looks in the natural light. It can be very expensive. Different studios work different ways, small session fee equals expensive images. High session fee might only include certain images. Always check before you book, what you are getting exactly for your money? Studio photographers are also very reluctant to provide you with the digital copies of your images. If they do provide them, they will be very expensive !! They wont be unique to your family. Lets face it, we are all different. Every single one of us has our own quirks. It unlikely Studio Photography will unearth those. Unless you bring your own props along. Like a kids favourite toy, or dads fishing rod. Mum’s tool box…because lets face it we use it a lot more! Unfortunately although it seems like a good idea, it can become super cheesy. The look you were trying capture of your little family right now, looks rehearsed and fake. But and everyone is smiling (silently sweating) and your skin looks great ! Now onto Natural Light Outdoor Light, the word outdoor being key. It can be inexpensive, not because the experience you are receiving is cheap. Its simply because there are no overheads. Natural Light photographers dont need to maintain the upkeep of expensive lighting equipments & studios. You can receive the same quality experience without having to spend a huge amount of money. However as with everything, check what you get for your money. Some outdoor photographers will still only provide you with a limited number of digitals. Children love exploring, they are genuinely happy outside. Theres no need to generate fake emotion when you are on an outdoor shoot. You as a family are relaxed, the kids are running around, getting rosey cheeks. No confined spaces with echoing nosies and strange equipment to make them nervous. Just you, your photographer and their camera. Depending on the lens, you might not even see your photographer!! Most importantly and for me the whole reason i choose outdoor photography to studio photography. 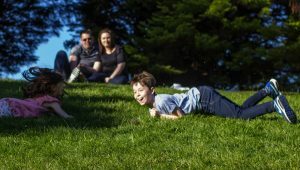 Each family shoot is unique, its personal to each of my families. We may be shooting in a location ive been to before. However i can guarantee the galleries never look the same. Every family brings their own personality, each child finds something fabulous and interesting to capture their imagination. Its sweet, organic and natural. Outdoor photography flows well and with the right photographer a wonderful memory to attach with your images. Did i already mention you are outside? 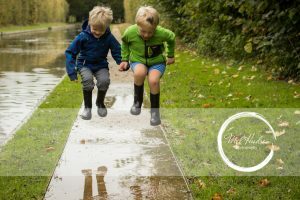 Outdoor photography can capture the seasons along with your children. Autumn leaves falling, snowy snowmen, spring bluebells and summer showers. 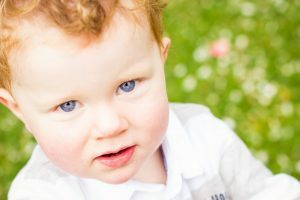 Outdoor photography provides you with a perfect prop to go with your family. Pick your season and I promise those images will become family heirlooms. There are none…hahah… i jest!! The weather, outdoor photography is at the mercy of the weather. Especially in Northern Ireland when you can get all four seasons in one afternoon. Children dont feel the cold, but it can be there. Rain, we are blessed with a beautiful corner of the universe. Really i love where i live so much, each County has their own beautiful unique features. However… the grey rain… the grey sky… the greyness at times can all be a bit too grey, right? Nothing cosy and happy with a family outdoor shoot being surrounded by grey. Light, as said before, its all about the light. Outdoor photographers have to search for the light, they have to create perfect light conditions. That takes experience and skill. Full sunlight and you will look like you have aged 15 years. Overcast and dark light will produce grainy and bland images. So you will always be on the move, walking and searching for light. Expertise, its hard to gauge how good your photographer is until you have the final product in your hands. At which point you may have already paid for the service. With digital photography now, cameras on Auto can produce some excellent photographs. Making it easier for anyone who has a love for photography to market themselves as a photographer. So once you have chosen the type of set up that suits your family here are some tips to nail down the details. Know who you are getting, check out portfolios, reviews, recommendations. Websites are a good tool to see the feel and type of photography that person uses. Plan your budget, dont get drawn in with the low fee at the beginning, thinking well how much can it really be? Im telling you now, expensive!! Ask how much upfront, how many digitals will i get, what products do i receive with the shoot. Can i have your price list. All reputable photographers will have one and will be open about their fees. Know your families limits, understand kids will get uncomfortable in strange environments. Don’t expect them to behave, they never do, they are kids!!! Kids are meant to be naughty and inquisitive (to a point). Know YOUR limits, i have yet to meet a mum who LOVES being in front of a camera. Decide your theme, staged, plain background v natural, detailed environment. Thats all folks, if you want more information have a look through my outdoor blogs – HERE, you can get a feel of what the shoot will be about and the type of images to expect. If you are interested in a Studio Photographer, Sam McDermott is great. I went to him with the kids when they were super little and i wanted to be included in the shot. He’s a very talented wedding photographer, amazing really, and really good with children. Click HERE to see his Facebook Page.